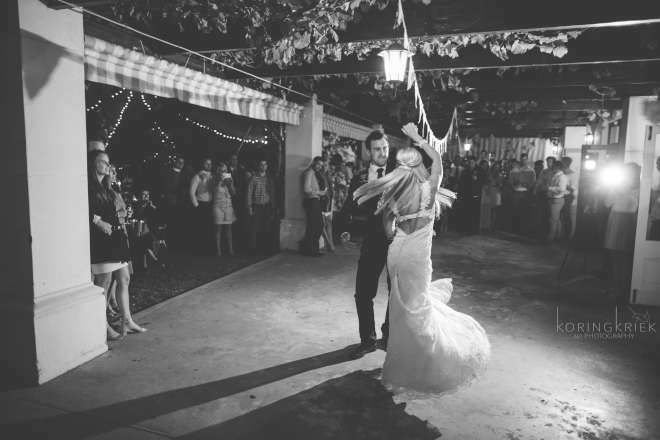 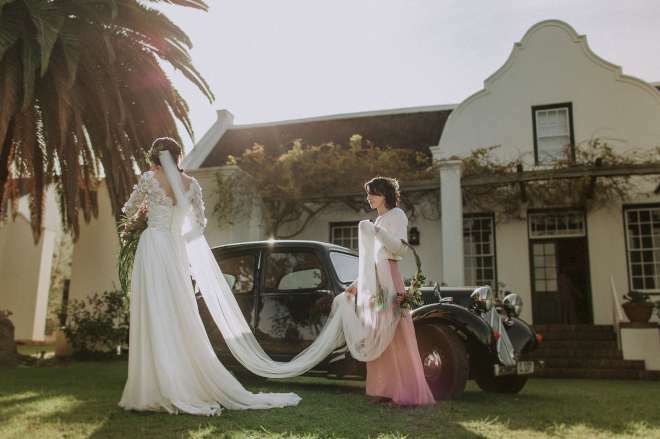 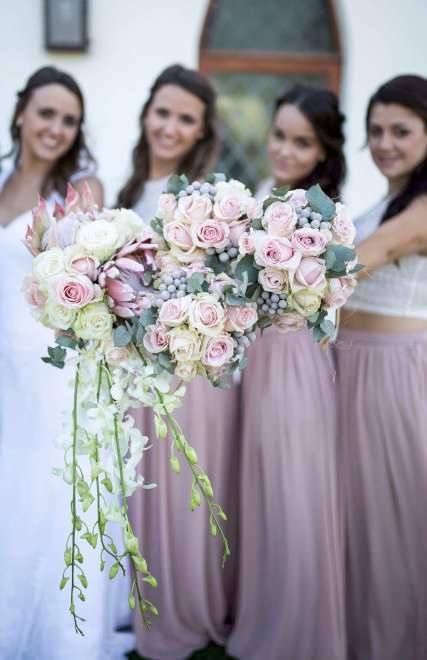 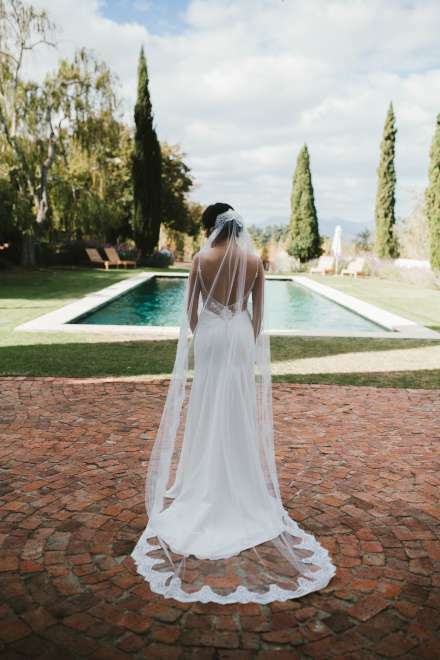 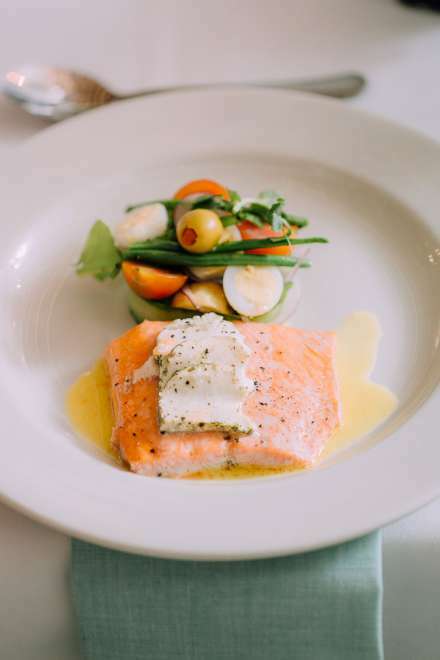 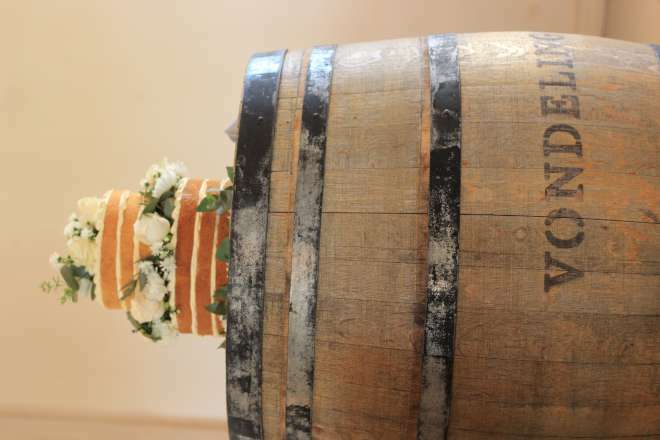 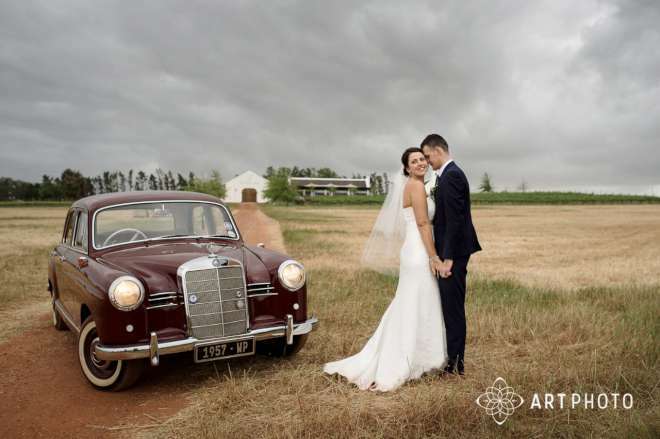 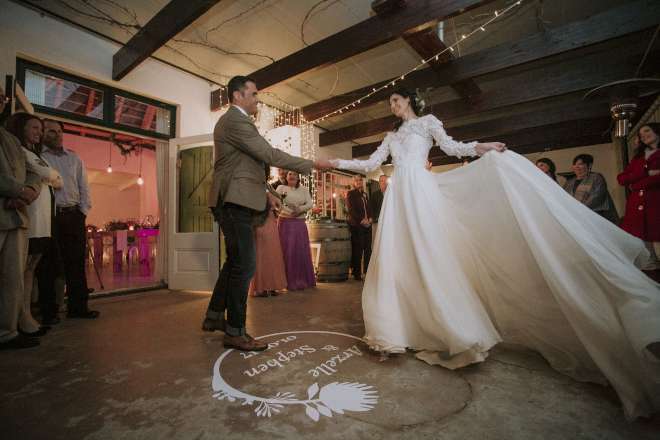 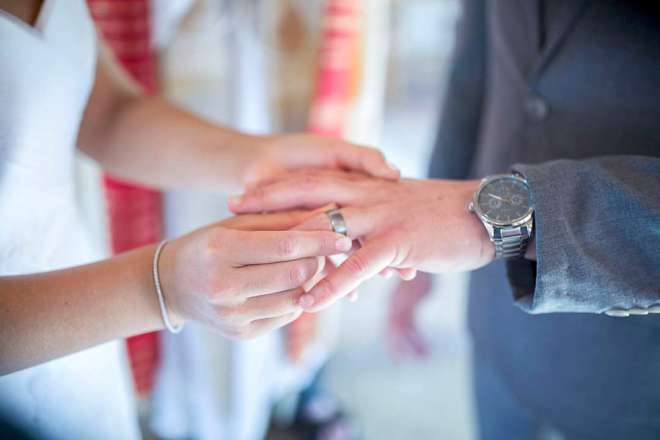 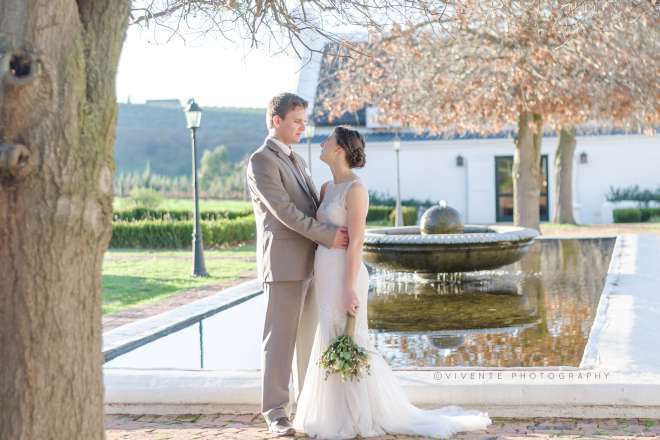 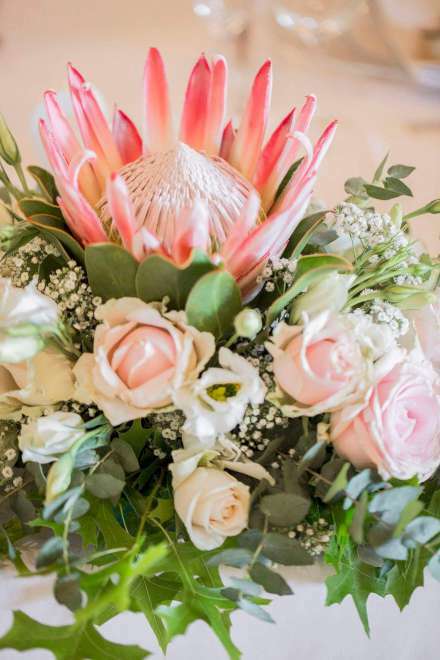 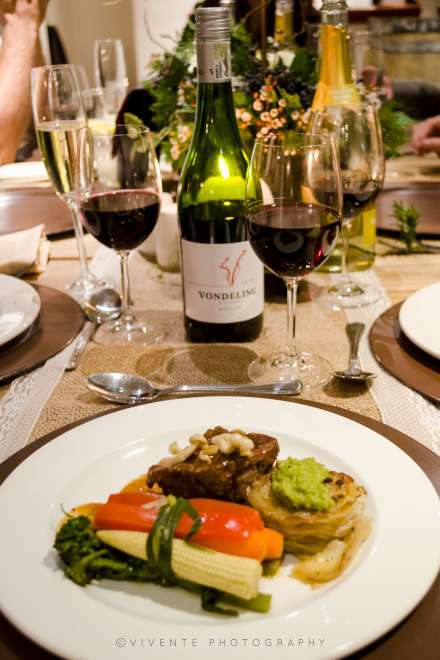 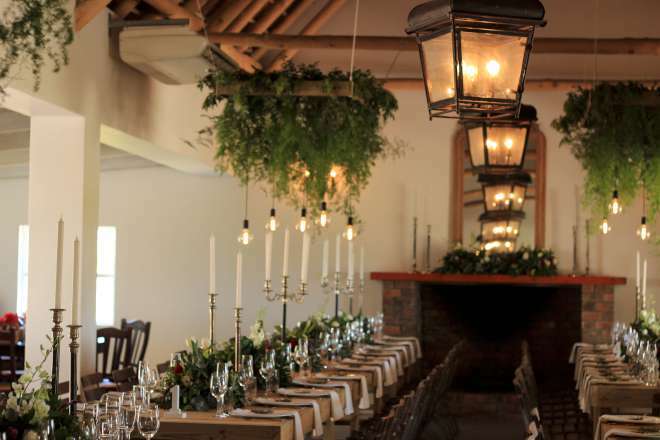 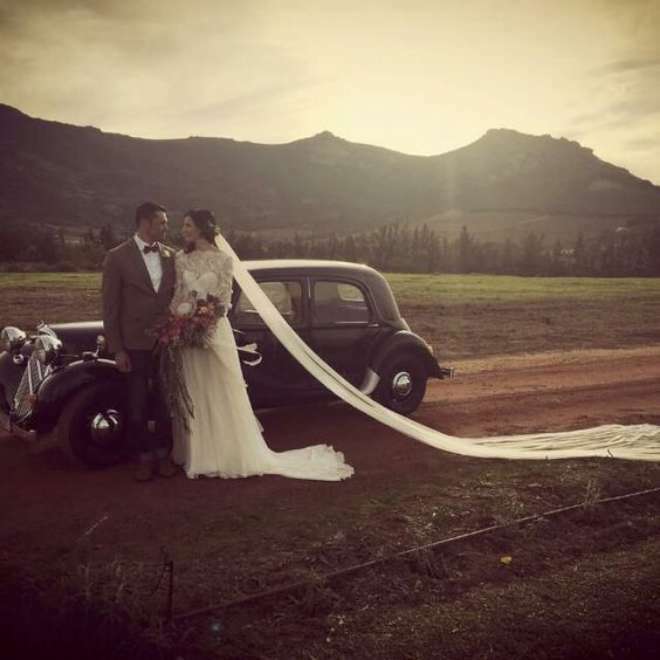 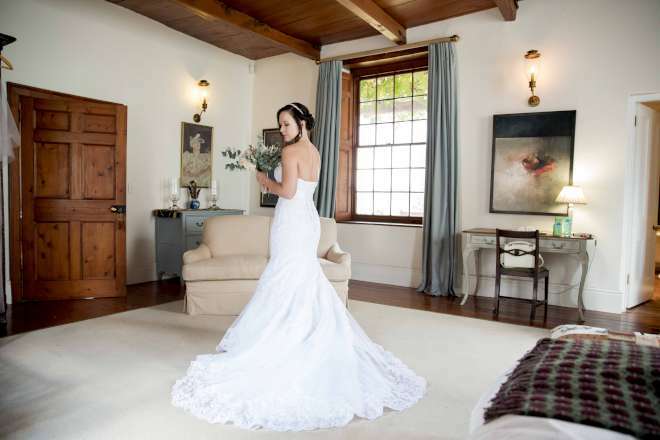 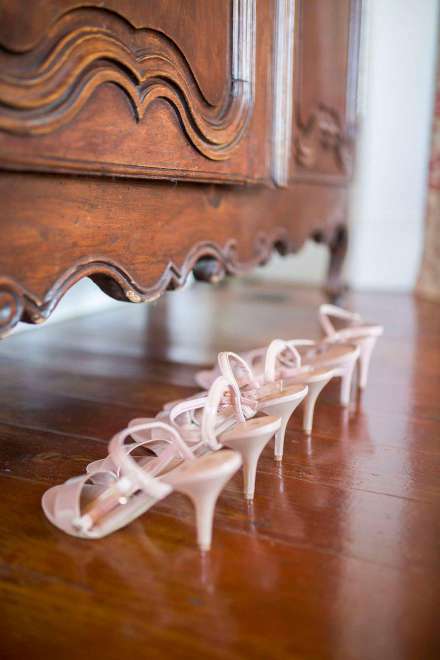 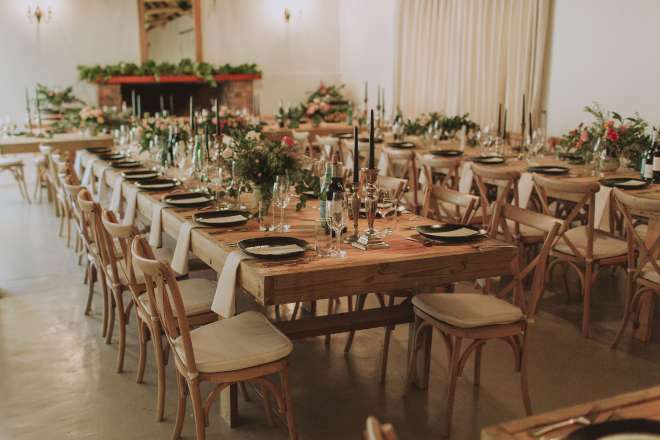 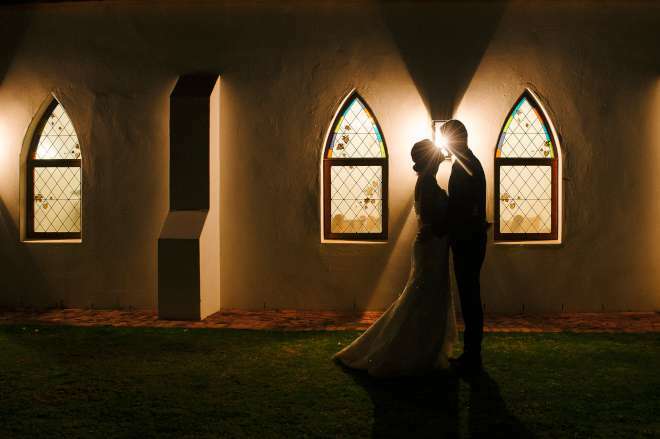 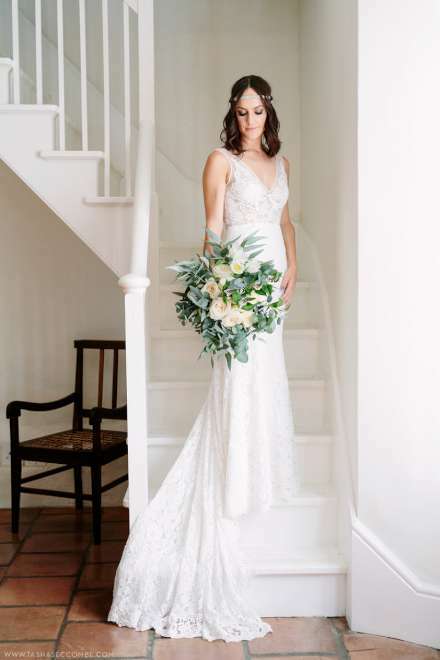 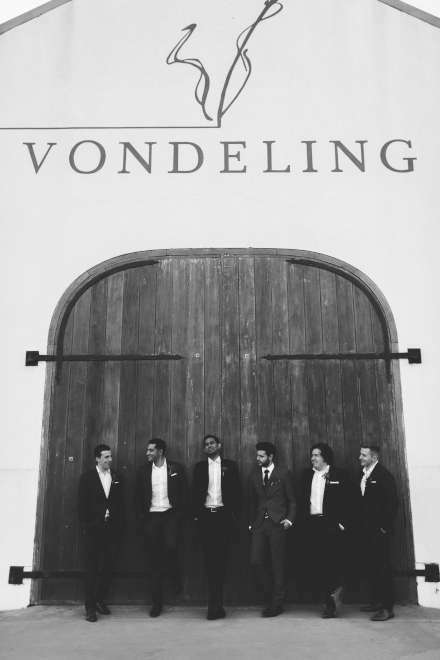 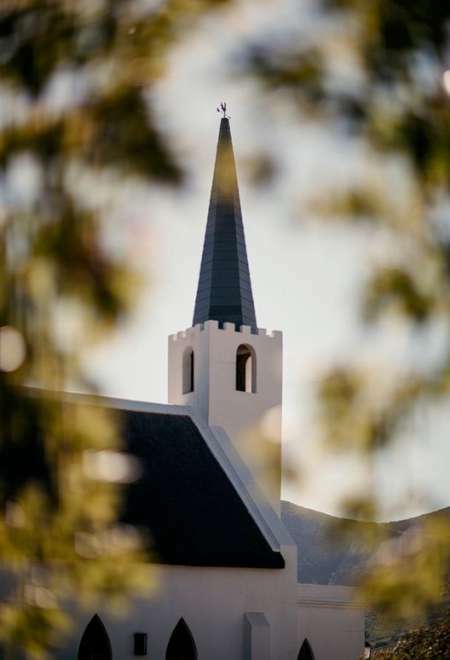 Vondeling wedding venue is conveniently situated in the heart of the Cape Winelands. 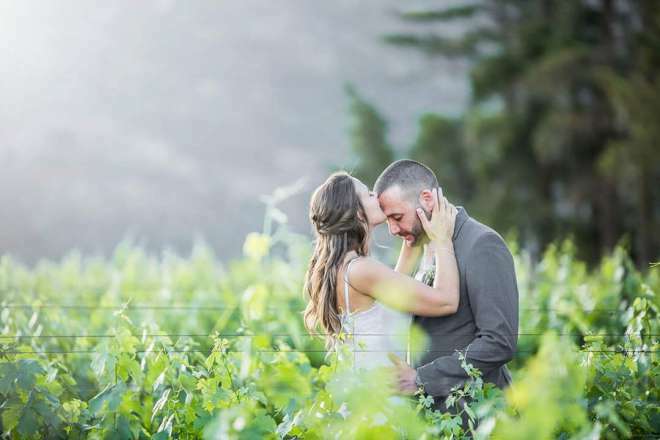 It is a mere 40 minutes’ drive from Cape Town, with surrounding towns Malmesbury, Durbanville, Riebeek Kasteel, Wellington and Paarl only 20 minutes away. 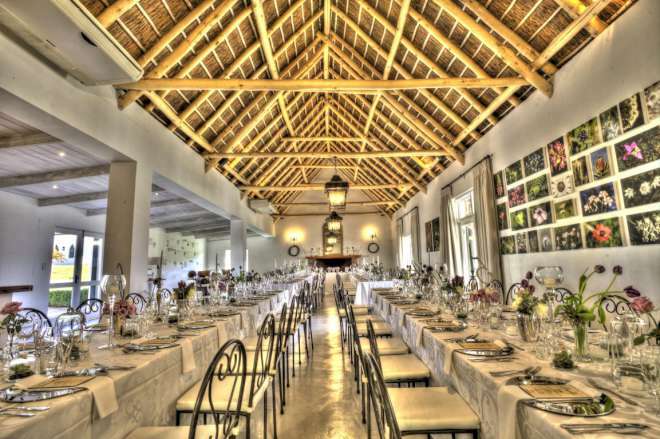 Wedding receptions are hosted in the classical function venue. 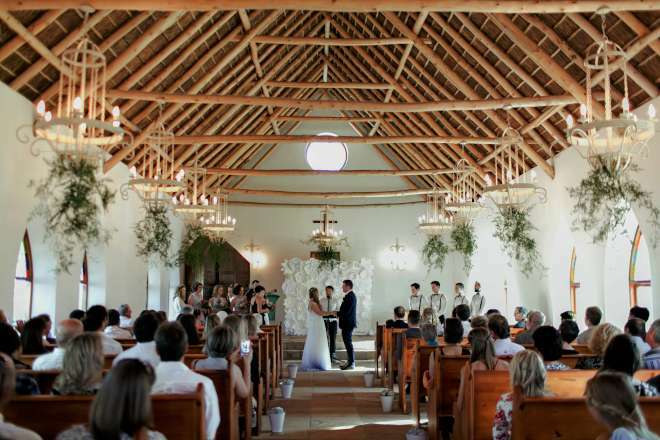 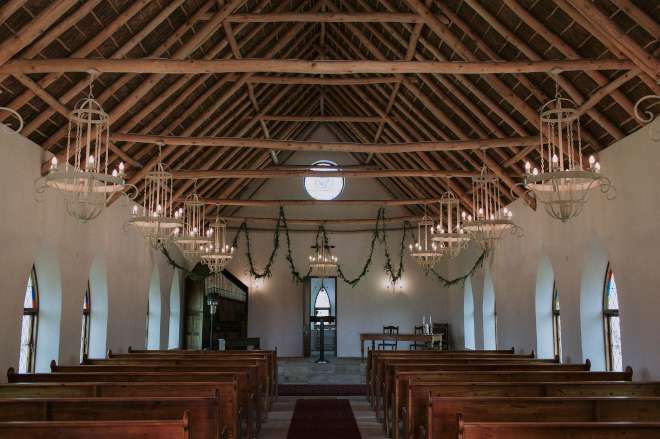 Inside, the high thatch roof create an elegant space and the influences of old Cape heritage as a common thread tying together nostalgia and minimal modern elegance. 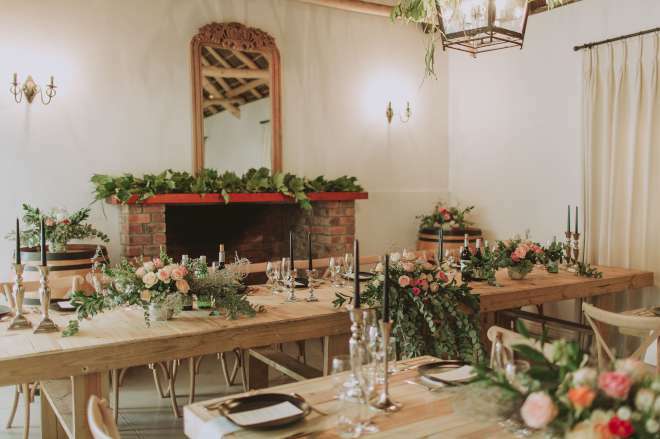 During the colder months, there’s a roaring fireplace to keep your guests warm. 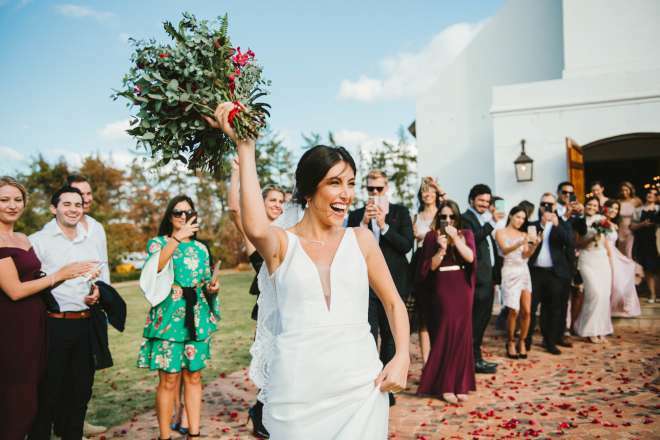 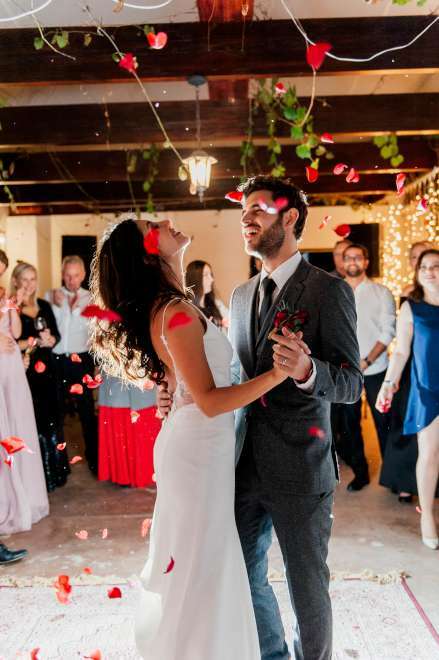 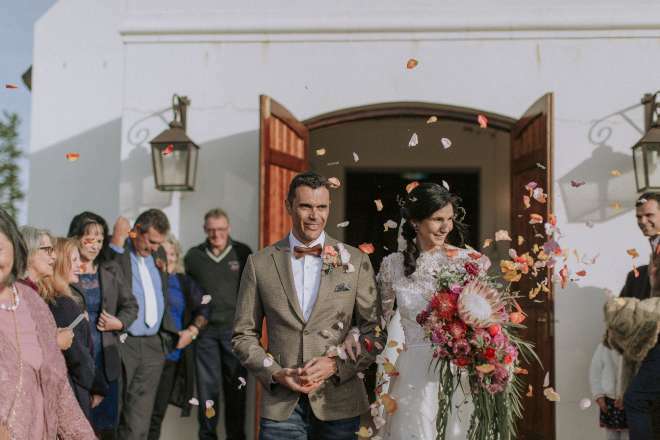 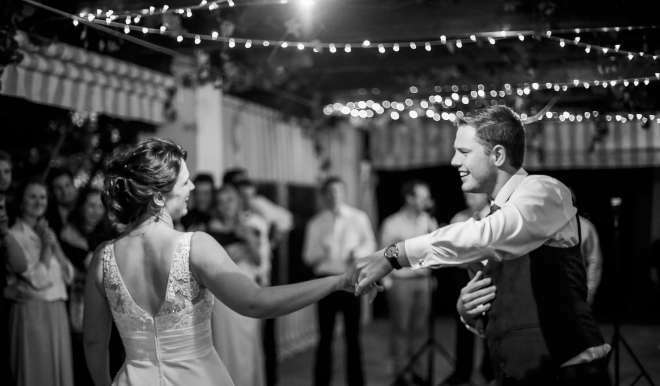 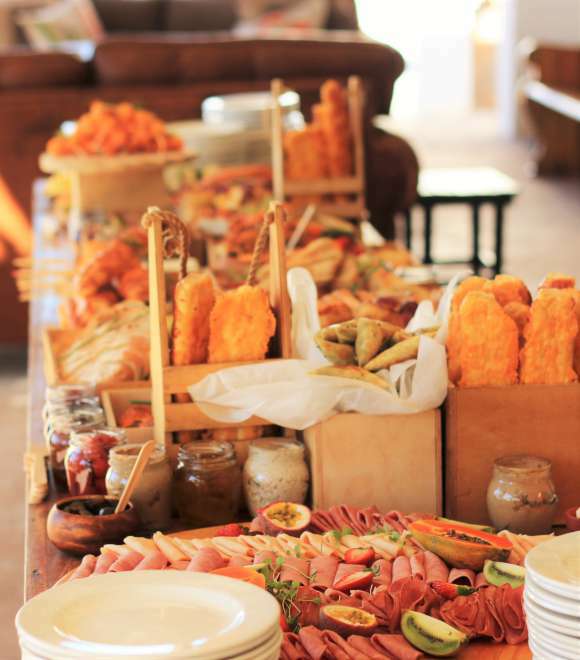 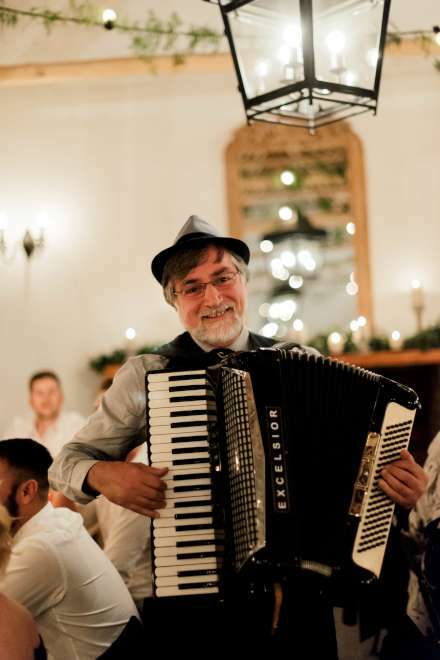 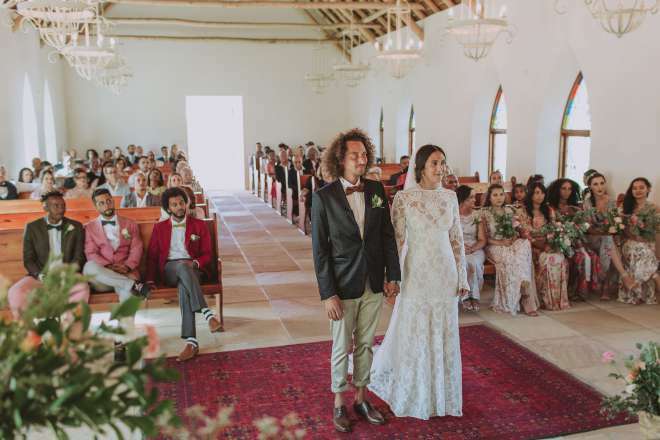 In summer and spring, receptions can be hosted on the shaded veranda overlooking the magnificent Paardeberg and surrounds or inside the airconditioned venue. 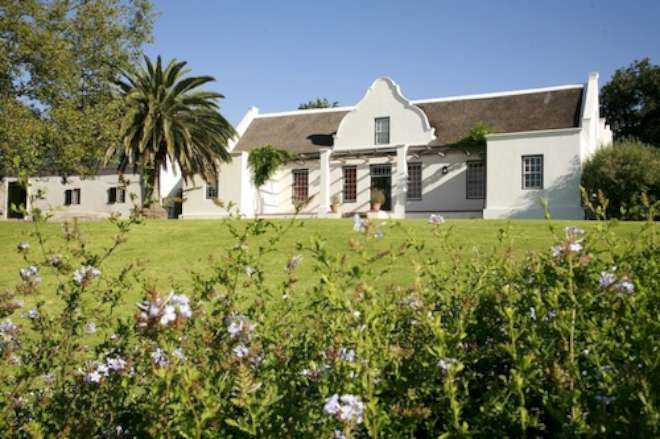 Surrounding the house are peaceful gardens with shaded terraces and a 20-metre swimming pool,. 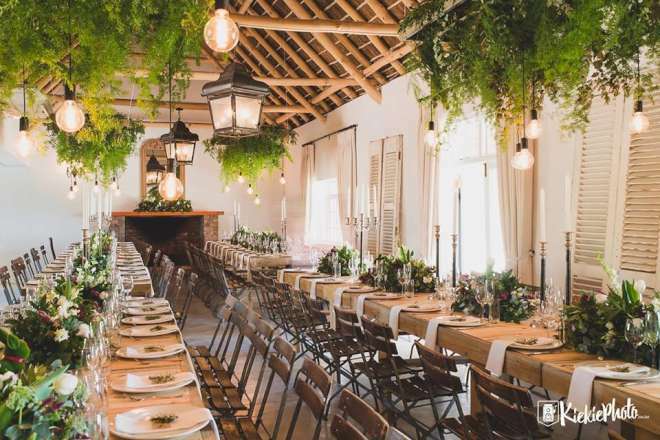 There is also secluded BBQ area, croquet court and a spot lit tennis court.